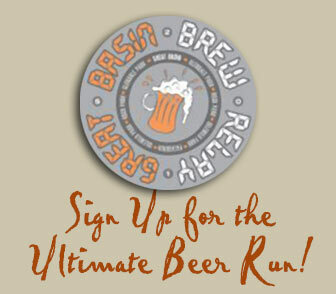 • Sign Up for the Ultimate Beer Run! 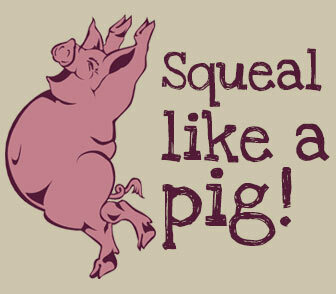 • Squeal Like a Pig! I love your craft beer and I love Tightwad Tuesdays, but I was wondering if your house wines are discounted during Tightwad Tuesdays? We only discount our beers all day during Tightwad Tuesdays. However all hope is not lost! We take $1 off all of our house wines during happy hour, Monday- Friday 3pm-6pm. So technically there is a window of time on Tuesday where you can enjoy great prices on wines at our brewpubs. 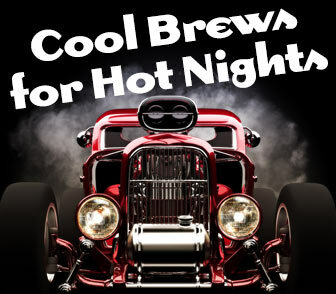 Hot August Nights starts this week and this year it’s gonna be hotter than ever! Checking out all of the classic cars cruising the streets of Reno & Sparks, can build up quite a thirst. That's why there’s one thing that always pairs up with a cherry ’63 Mustang, and that’s a perfect pint of craft beer from Great Basin. Look for us to be pouring our brews and serving food right outside our Sparks brewery all week long! Come take a ride in our beautiful balloon. 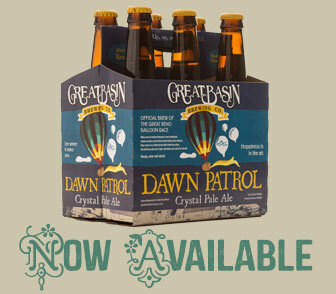 Dawn Patrol, the official brew of the Great Reno Balloon Race, is now available throughout the region. It’s a light and refreshing Crystal Pale Ale that you’ll definitely want in your basket as you sail through the dog days of summer. Now available in 6-packs; this release is seasonal so make sure to enjoy it before it floats away! The time for beer mixed with aerobic activity is yet again upon us! The fourth annual Great Basin Brew Relay will commence on September 26th. It’s a 4 person 40 mile relay through Reno and Sparks. 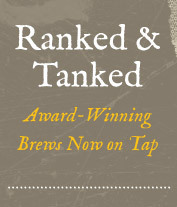 It starts and ends at our Sparks brewpub which is, coincidentally, a fantastic place for your celebratory beer! This run is limited to the first 75 teams and it will sell out. We look forward to every Labor Day Weekend as the Best in the West Nugget Rib Cook-off devours the streets of Victorian Square by our Sparks brewpub. Once again, we’ll have all of our beer available in plastic cups so you can grab a pint (or more) from us then get loaded up with a few slabs of ribs! When you’ve had your fill of delicious smoked-meat (it happens) come on back and enjoy live music on our stage each night. Maybe get a salad, too? We aren’t happy about it either, but you have to eat your vegetables, Mom said. Our friends at the new Mellow Fellow Reno and Great Basin Brewing Company are teaming up on August 25th to bring you a fun-filled Trivia Night starting at 8:00. Because we’re beer nerds, and you probably are too, this one will be beer-themed (history, techniques, etc.). It’s free to play and comes with rad prizes from Great Basin and Mellow Fellow plus specials on all Great Basin beer all night!